Bathroom and kitchen are two places where you need to do a regular cleaning because time to time this place get wet. If we are careless about cleaning bathroom and kitchen, germs & bacteria can easily spread out, and stains like fungus and soap scum can rapidly build up! 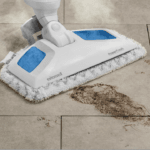 So my article is about how to clean bathroom and kitchen tiles floors which will give you the proper and best cleaning solution so you can easily clean your bathroom and kitchen tile floors. If you continue your Regular care and maintenance that will help you out to get natural shine of your tile floors. 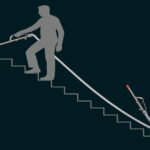 This is not a rocket science, so you don’t need to worry about it. Make a mixture of two tablespoons of cleaning liquid with a gallon of steam water, then use a mop to clean the tile floors. If you want to clean more-grimy parts (shower, counter by the stove, etc. 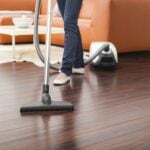 ), then collect a spray bottle and pour this mixture into this bottle spray every single corner of this floor and rub it forcibly. After that wait for 15 minutes and clean it away. See the result!! Baking soda and vinegar are very useful ingredients to make your floor tiles clean and shining. As part of your routine cleaning, for instance, you can scatter some baking soda over your tiles floor to get full cleaning and shining. A cleaning technique of 1/2 cup of vinegar, 1/2 cup of ammonia, and 1/4 of borate detergent in a gallon of stream water is very handy to bring back shine and cleanliness to deeply soiled spots. Be careful about cleaning; you must have to wear rubber gloves because these ingredients can make gash or burn your skin. 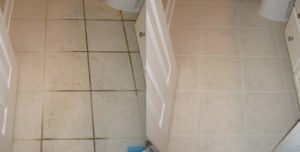 Sometimes you feel really worried when you see that your tile floors are looking very shiny, but it’s encircled by dirty, grungy grout. You can use pencil rubber to remove dirty grout or use cleaning chemical and rub it with green sponge or toothbrush. And clean it away. Hope you will get the good result. Vinegar is the most useful liquid that can help you out to remove hard water stains from spills or soap scum. Collect a clean spray bottle and pour the vinegar into this bottle and spritz it everywhere on the tile floors. Five minutes later wipe the vinegar with a piece of dry clean cloth or a clean rubbing pad. When you have done it, use hand-hot water to wash the tile floors. After that use, a hair dries or dry mob to make floor dry. Hope you will get your tiles clean and shining again. When you completely craved to get that strong and durable shine on your bathroom ceramic tiles or kitchen floor tiles even wall tiles, buy lemon oil from grocery shop don’t worry lemon oil is available in every grocery shop. 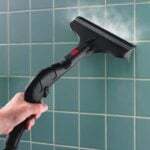 Spray over the tile floors or walls. After that collect microfiber piece of cloth and rub gently. You will get the full shining floor. But be careful to use this lemon oil because it can make the floor easier to slip on. 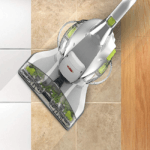 You can also use the best vacuum for tile floors.